This week's history studies have been about the Explorers to the New World, beginning with Christopher Columbus. For the literature portion of our study this week, Luke read The Log of Christopher Columbus' First Voyage to America in The Year 1492, written by Christopher Columbus and Bartholomew las Casas. 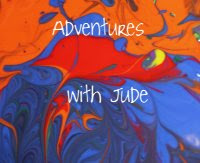 We've also been working on the first lessons of Home School in the Woods' Time Travelers New World Explorers lap book. Luke's writing assignment this week was explain the value of the logbook, and then to imagine himself the Captain of a ship returning from the New World and share sections of "his" log book. 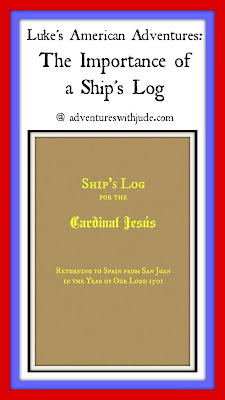 The ship's log was important, because it was often the only written record of events that happened aboard the ship. In the explorers' time, it was useful for a captain to study recent journeys. Weather patterns could be found, and the sailors would know when it was a better time to sail. Those acquiring provisions could study past logs to determine how much food they needed to pack so the men neither starved nor rebel. Reading how ships survived the voyage (or did not, because the sinking of many ships was recounted in others' logs) helped shipbuilders adapt their practices to make them better. Modern historians still find great value in the logs. We have learned many things about the explorers' voyages by reading their log books. By reading Columbus' log, we are able to see how he thought he found the East Indies. We can see how long and treacherous the journey was, and how the slightest storm can throw a ship off course. (This explains how the Mayflower ended up at Plymouth Rock instead of the Virginia colony.) Embarking on a sea journey was exciting but treacherous, and these books show us the fortitude these men showed when they set off with the outgoing tides. Ten barrels each of dried beef, venison, and pickled limes. Five barrels each of rice, dried maize, and biscuits. Four barrels each of fresh water and wine. Forty-five trees’ worth of oak and birch for trade. 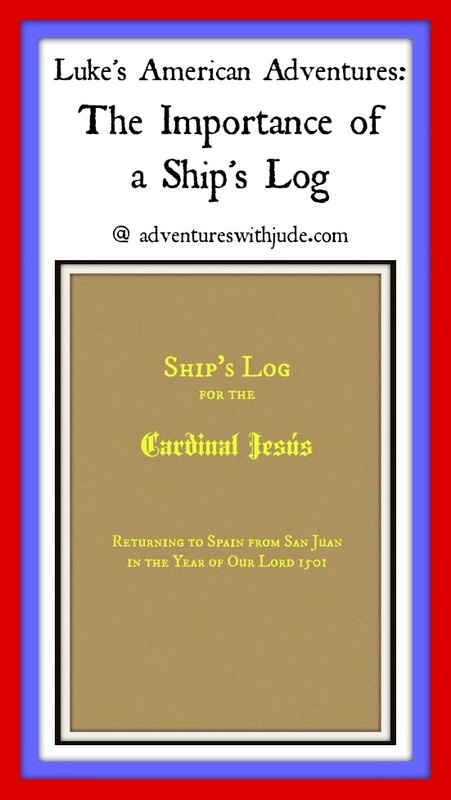 We set sail from the port of Maria on our ship, the Cardinal Jesús, on the outgoing tide at three minutes past seven o’ clock in the morning . We sailed S. to exit the port, then S. E. to get around the land of San Juan, and then N. by E. for thirty miles in the direction of our homeland of Spain, with a strong sea breeze in our sail until dusk. We have been at sea for a little over two weeks, and we have not had any difficulty keeping on our charted route to Spain. We have had days where we had moderate gusts of wind, but other than that, we have not had severe weather so far. Our two priests, Father Robert and Father Vincent, bless each day's voyage every dawn, and so far the Lord has answered our prayers. We just exited a tremendous storm of three days' duration, with the loss of two sailors and a mast. Thirteen-year-old Marcus Smith was swept overboard by the rainy sea, and James Thompson was crushed by the timber of the fallen mast. A Funeral Mass, led by Father Vincent, will be held tomorrow at sunrise after prayers. Following the Mass, we will attempt to regain our charted course. We reached the Islands of Azores only a week behind schedule due to the storm about three weeks ago. We stayed the night in the bay there to take on fresh provisions, as due to the storm’s delay, the ship was nearly devoid of food, and continued on to Spain. Thanks to favorable winds, we made up much of the lost time from the storm and made it to our destination safely only one day late. We unloaded our cargo and had the ship towed into dry dock, where it will be checked for damage before its next expedition, due to begin in about one month.